Russia’s largest air carrier, Aeroflot, has taken delivery of two new aircraft: a wide-body Boeing 777-300ER and a narrow-body Airbus A320. Both aircraft have been delivered straight from their respective manufacturers. Delivery of the wide-body Boeing 777 was carried out on Tuesday, March 22, according to what Aeroflot told Russian Aviation Insider. The Boeing, which, according to information from open sources, first took to the air on February 18, became the 14th 777 in the carrier’s fleet. The narrow-body Airbus aircraft has reportedly been flown to Russia sometime in the middle of March. This particular A320 took its first flight on January 22. It is fitted to accommodate 158 passengers—there are 8 seats in business class and 150 in economy class. The aircraft will be used on European, as well as domestic routes, according to the airline. 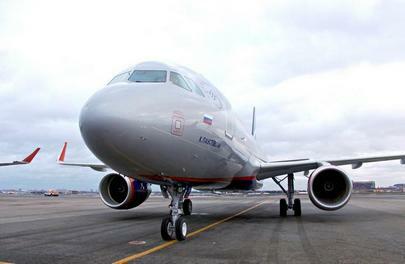 The most recent A320 was received by Aeroflot at the beginning of March. This year, the airline is expected to top out its fleet with a total of seven Boeing 777s, according to a presentation given by the airline to a group of investors earlier in March. The focus of the presentation was to highlight goals for the airline’s changes for its fleet by the year 2020. At the same time, one Boeing 777 will be phased out of the airline’s fleet. Another aircraft of the type is expected to be received in 2017. The airline has proposed to phase out another Boeing 777 sometime in the next two years. Which of the Aeroflot Group airlines these changes will affect is currently unknown. In 2016, the airline is planning on taking delivery of nine Airbus A320s, phasing out six. Next year, the airline will take delivery of 11 and phase out 7. In 2018, the figures are 18 and 10, respectively. Aeroflot does not plan on receiving any aircraft of this type in 2019, but plans on phasing out 10 that year. Meanwhile, as reported the newspaper Vedomosti, a part of the shipment of the A320s will be delayed. In addition to 14 Boeing 777s and 64 A320, Aeroflot operates 22 Airbus A330s, 5 A319s, 26 A321s, 14 Boeing 737s, and 26 Sukhoi Superjet 100s.